I receive many emails and phone calls everyday from nice folks from all over the world. I get to answer questions about raising goats, about the Henry Milker and on a whole variety of other subjects. 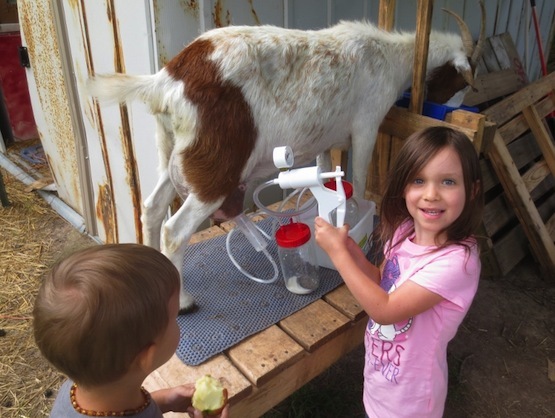 One of the all-time favorite questions is "My goat has 3 teats, will the Henry Milker work on her"? 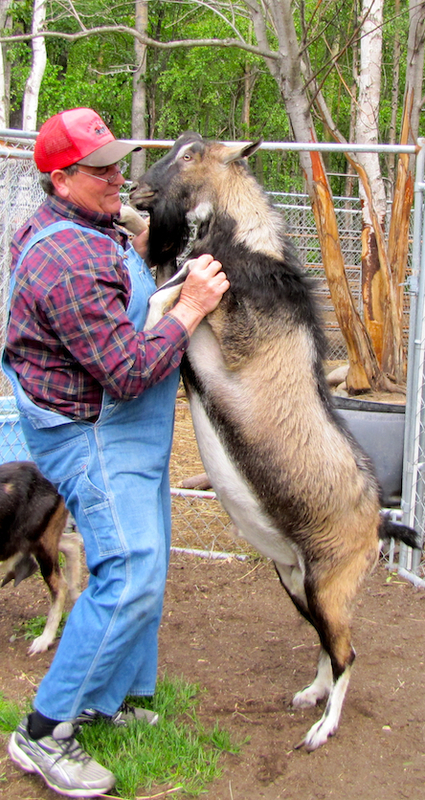 feeding, gestation periods or goat shelters. One would think that the number one question would somehow be related to the complications of goat birthing or proper mineral supplements. 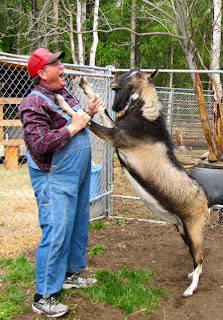 I'm here to tell you that it ain't so, goat owners from all over the world want to know the secret of "goat dancing". 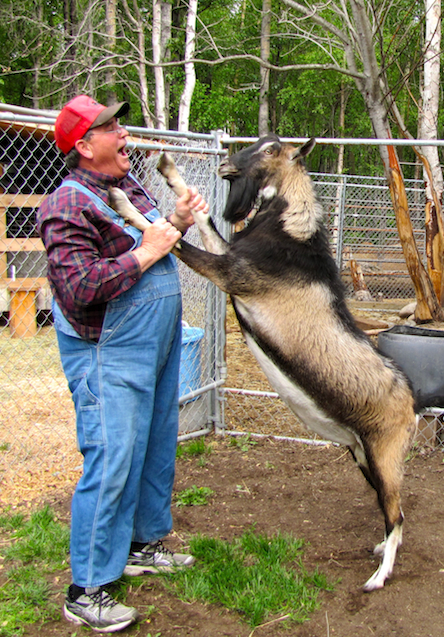 I do not know all things goat but I am a leading consultant and world renown expert on dancing with the goats. You will be able to identify from the photos on the left that I am light on my feet and have some get-down barnyard rhythm. Be looking out at your local Wal-Mart for the "Henry Dances with Goats" video and instructional manual that will have you dancing your little hooves off. You too will become the envy of your County. Totally laughing out loud!Great photos..
Haha! "The envy of your county!" Classic. 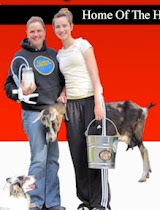 Geesh, I though my goat was special with her double teat. Three teats, wow! 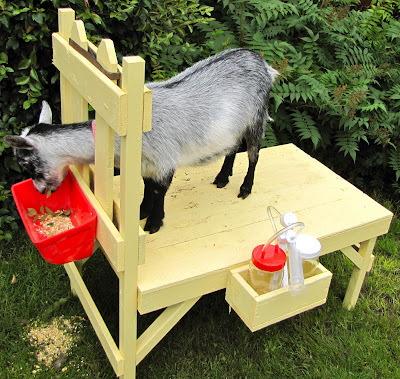 So can you milk a three teated goat? Yea but I have to have my neighbor help.